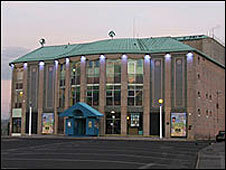 Plans for a £135m redevelopment of Weymouth Pavilion and ferry terminal have been scrapped. 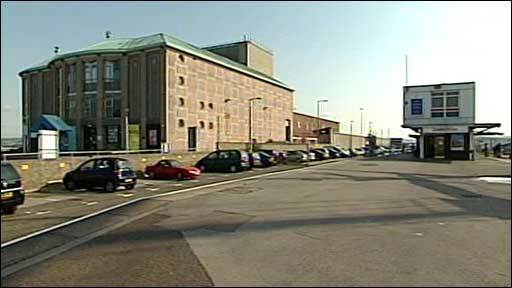 The scheme was expected to create 400 jobs and included a hotel, refurbished theatre, marina berths, and new flats. The plan stalled when developer Howard Holdings went into liquidation and now funders Europa Capital have pulled out despite spending £5m on the plan. The pavilion will remain open while Weymouth and Portland Borough Council decides its next move. It had been hoped the development, which has been in the pipeline since 2004, would have been ready in time for the 2012 Olympics when the sailing events will be held in Weymouth and Portland. Councillor Mike Goodman said: "It is frustrating for the people of Weymouth and Portland. "The recession has come at the wrong time for us. "We were hoping to present a new complex at this incredible site." The council will continue to run the pavilion and look to reduce an annual operating deficit of about £500,000. But Mr Goodman was still confident about the future of the site. He said: "We will wait to see what the market holds and what opportunities come up, but we are certain we will produce a wonderful site for the 2012 Olympics. "The market is so severely depressed for residential and small retail we would be foolhardy to enter into any contracts right now, the market must come back before then." Europa Capital said it had "worked hard" alongside its partners and the council to "try and make this work". But the project was not viable due to the "depressed nature of the economy and the housing market".